After graduating from Texas A&M University in 2014, Saavedra-Roman married David Watkins, an American citizen, in 2017. She’s currently working toward getting her US citizenship and the government has approved her I-130 Petition, which puts her on the path to permanent residency, her lawyer Belinda Arroyo told BuzzFeed News. Watkins said that while the couple was on their honeymoon, he urged his new wife to pursue a career as a flight attendant. She was working as a teacher at the time, he said, but she wanted to try something new that would allow her to travel. 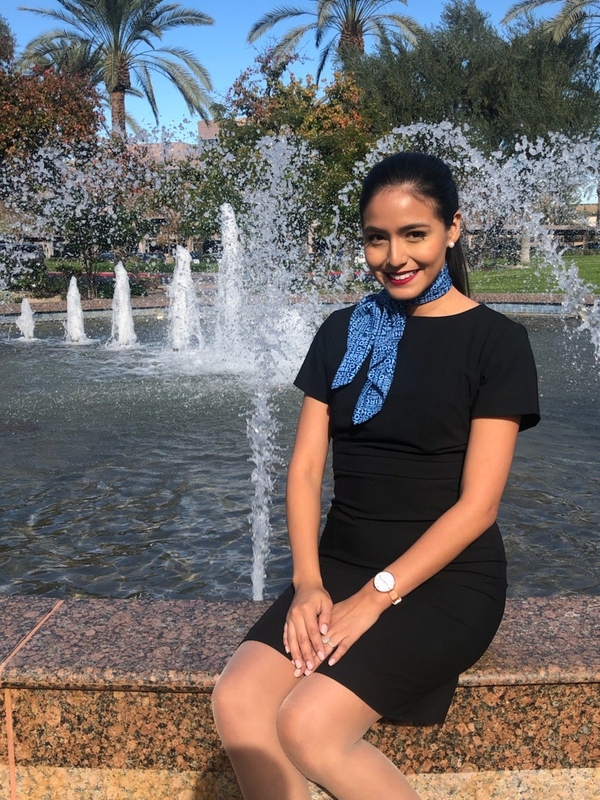 Last December, Saavedra-Roman completed her training and in January she officially joined Phoenix-based Mesa Airlines. She had been on the job for about a month when the company assigned her to a roundtrip flight from Houston’s George Bush International Airport to Mexico. The woman’s lawyer and husband told BuzzFeed News that Mesa officials reassured Saavedra-Roman she would be fine because her DACA status was valid until November 2019. Upon her return that same day, officials at Houston airport told her she did not have the proper paperwork to reenter the country. Saavedra-Roman, still wearing her flight attendant uniform, spent the next 24 hours at the George Bush International Airport sleeping on a couch before being transferred to the Montgomery Processing Center in Conroe, Texas, where she has been held since mid-February, her husband said. Watkins said his wife suffers from depression and anxiety and the situation she is in has exasperated the conditions. Saavedra-Roman’s lawyer Belinda Arroyo told BuzzFeed News the airline “gave her bad advice” by telling her she was authorized to travel outside the country, adding that US Immigrations and Customs Enforcement has no reason to continue holding her client. 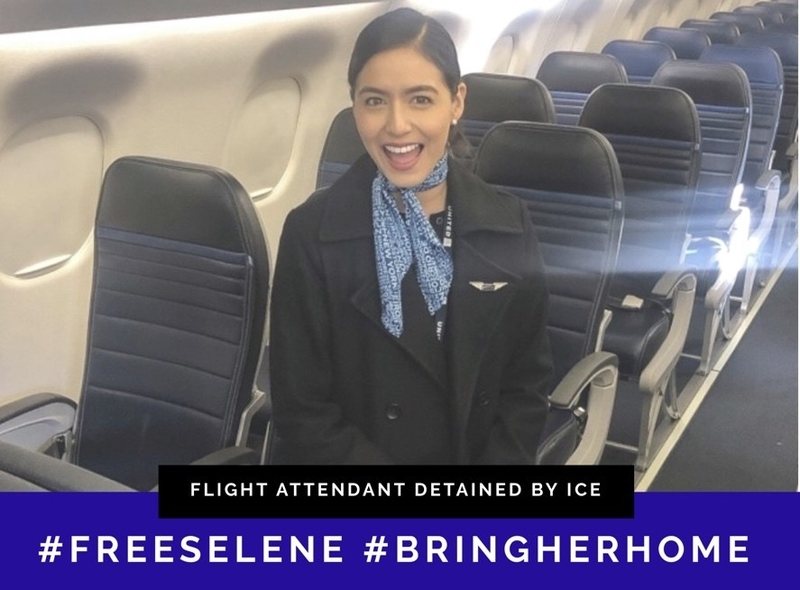 In joint statement with the Association of Flight Attendants on Friday, the CEO of Mesa Airlines said Saavedra-Roman’s detention was the result of “an administrative error and a misunderstanding,” and called on the Department of Homeland Security to release her. Arroyo submitted a request for parole, which would allow Saavedra-Roman to be released, nearly three weeks ago, but no determination has yet been issued, she said. “They know it was an inadvertent mistake,” she said. “She was taken into custody by U.S. Customs and Border Protection officers and processed as a refused crewmember. Saavedra Roman is currently in ICE custody pending adjudication of her immigration proceedings,” the statement continued. The agency did not say whether ICE is trying to revoke Saavedra-Roman’s status. A spokesperson for the United States Citizenship and Immigration Services did not immediately respond to a request for comment. Sara Nelson, the president of the Association of Flight Attendants, said the union is mobilizing to support Saavedra-Roman.